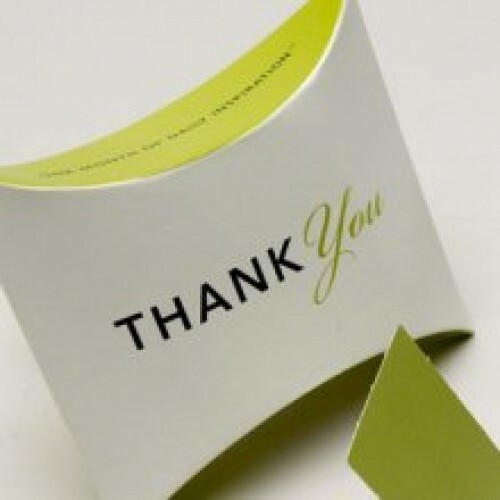 This adorable little tote of thanks and gratitude is perfect for any occassion. 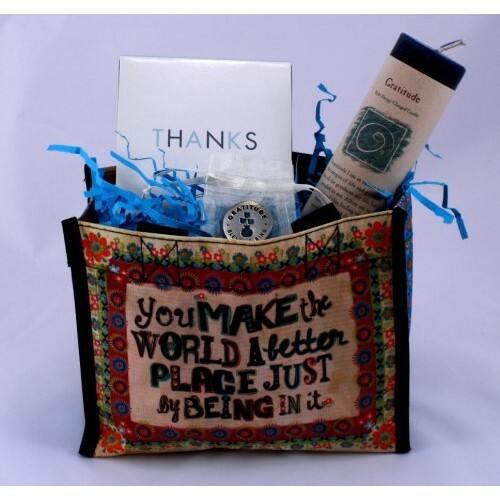 You make the world a better place just by being in it - recycled bag with these beautiful words and colorful print. The bag measures 6.5 by 5.5 by 2.5 inches. Thanks Window Cards -This beautiful collection of 30 thoughtful quotation on little window cards to honor others, celebrate friends, cherish family , give thanks, adn create memories. 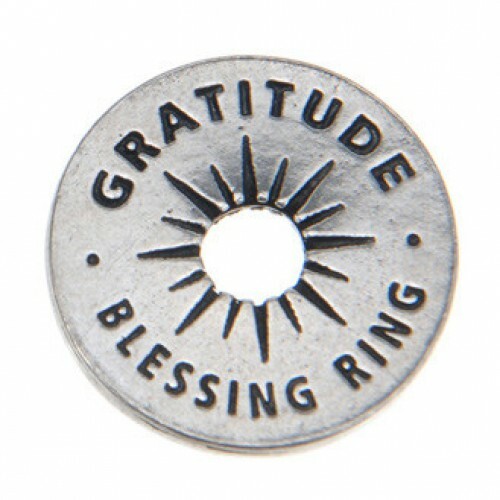 Gratitude Blessing Ring - This beautiful charm can be worn as jewelry, stacked on key loops, and kept in a pocket. Blessing Rings touch lives and in return touch our lives. It comes in a little organza bag for you. This charm reads "Gratitude Blessing Ring" on one side and "with thanks and appreciation" on the reverse. Size 1 inch circle. Joy Reiki Charged Candle. This tangerine herbal candle has been designed with a specific intention using a unique blend of essential oils. The joy candle is a blend of essential oil fragrance of plumeria, jasmine, and sandalwood. Made in the USA this candle also has the following quote "Let me discover pure joy in my being. Allow happiness and laughter to flow freely through my life into those around me." They are hand-poured using the finest wax and purest blend of essential oils.